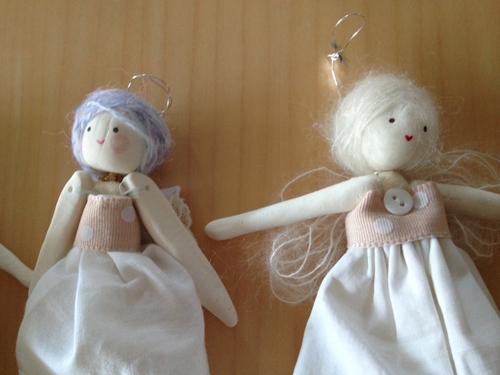 I made these as Christmas presents, for 2 special Grannies and a good friend who helps me with the children’s Art in school. Fimo clay for all the parts, and some old hankies for the dresses. Who wouldn’t want blue mohair for hair?